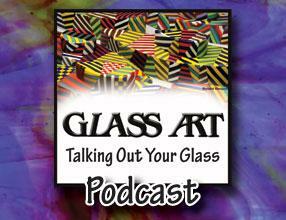 Glass Art editor Shawn Waggoner reminds readers that glass art has grown and prospered due to self-taught glass art pioneers who weren’t afraid to share what they learned with their fellow artists. Their aesthetic and technical goals were realized through experimentation and discovery as they added their own knowledge to the pool in the great circle of community sponsored learning. When Renee Wiggins isn’t spending time at the torch or shipping product, she is using her computer skills to take advantage of the advertising arenas that are available to artists on the Internet. Her background in digital arts and photography helps her to make good use of images and descriptions as she posts new designs and product on Facebook, Etsy, Pinterest, and other sites. Timm Muth is not a glass man, but he directs a glass studio operation that offers some exciting possibilities across the broader glass industry. The Jackson County Green Energy Park is one of only three hot shops that is fueled by methane gas drawn from landfills. Muth is eager to share what he learns from his groundwork in converting biomass to fuel for community art projects. The Just Glass exhibition at PM Gallery & House in Ealing, West London, England, highlighted the beauty that can be achieved with kiln formed glass. 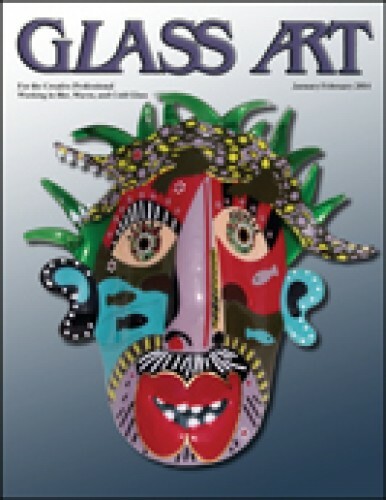 The Just Glass Society was formed in 2003 to provide Richmond School of Art’s glass studio with a vehicle for exhibiting and promoting glass art. The society is also renowned for its now well-established biennial seminars where international glass artists share their knowledge with each other. Building a targeted audience on a Facebook page will pay off when artists begin to use Facebook paid advertising. Ads can be put together to announce new products and class offerings that will elicit questions and comments from potential new customers. The ads can also be customized with regard to price per day, duration, targeted audience, and many other criteria, and there is no long-term commitment. Alison Kinnaird has an international reputation as a visual artist and is one of the world’s leading engravers. Her work can be found in public, royal, and private collections throughout Europe, America, and the Far East, and ranges from small, intimate pieces to architectural installations that incorporate light and color. Ruth Brockmann’s totemic masks and animal figures address the interconnectedness and spirituality of all living things. Inspired by Pacific Northwest mythologies, her fused and cast work paved the way for a new generation of kiln formed and fused glass artists as she became one of a group of women attracting international notoriety for her art during the early days of the Studio Glass movement. Kate MacLeod shares techniques for using the luminescent product, Dichroic Extract, from Coatings By Sandberg, which makes it possible for artists to add the brilliance of increased light refraction and reflection to the art of painting on glass. MacLeod uses this new product to add highlights and depth to a starfish-shaped figure. Kathy Barnard never trained in traditional etched or stained glass techniques, but rather perfected her art through experimentation and discovery. Since she didn’t know the rules, she also didn’t know the limitations. Her successful career can be attributed to her dedication to challenging and educating herself plus her endless passion for working with clients. The Usonian House, designed by Frank Lloyd Wright, was unveiled on the campus of Florida Southern College in Lakeland, Florida, adding to the world’s largest single-site collection of Wright’s completed buildings. This striking one-story house has many signature Wright features including cantilevered wooden beams, floor-to-ceiling glass doors, and interlocking textile blocks inset with squares of colored glass. One of the inspiring ways that the American Glass Guild (AGG) makes a difference in the stained glass community is by offering scholarships. Recipients enjoy the stained glass educational opportunities made possible by these awards, which can be used for glass education, including attendance at glass industry conferences and workshops. The Society of American Mosaic Artists (SAMA) was pleased to participate in SOFA CHICAGO for the fifth year by presenting a space in which fairgoers could learn about mosaic art and materials while watching artists work to create a “mosaic of mosaics.” Collectors, curators, students, and artists were introduced to many new facets of the contemporary art world during the show.